Greenjoy Coaching - Gwyneth Jones: Just 10 Days of a Mediterranean Diet Can Improve Your Mood! seem aware that too much processed food is bad for you. But it isn't just your body that can suffer from a bad diet - it's your brain. While plenty of research suggests that certain chemicals and eating patterns can negatively affect your mood there are very few actual control trials that look at the effect of diet on mood and brain power. McMillan et al. (2011) decided to test whether a 10-day Mediterranean diet intervention would influence people's mood and cognitive performance. Often cited as one of the healthiest diets in the world, the Mediterranean diet contains a lot of fruit and vegetables, fish, olive oil, whole grains and legumes, with a reduction of processed food and refined carbohydrates. They recruited 26 women (1 dropped out) and randomly assigned them into "diet change" (DC) or "no change" (NC) groups. The DC group were given guidelines on how to eat in a way that was consistent with the Mediterranean diet, while the others were told to follow their diets as usual. These ladies kept a daily food diary during the study, and their mood and performance on a range of cognitive tasks (e.g. working memory, attention) were measured before and after the 10-day diet. Although three of the women's diaries were incomplete, recorded meals from the food diaries of those in the DC condition were 93% compliant with a Mediterranean diet. 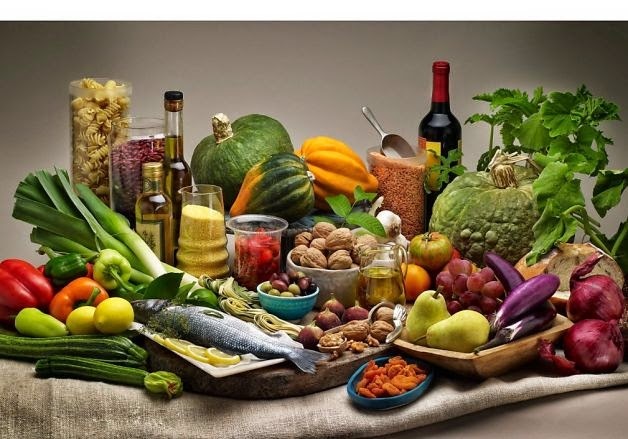 It turned out that those following the Mediterranean diet reported higher feelings of vigour, alertness and contentedness at the end of the 10 days, while those who did not change their diets reported lower alertness and contentedness that at the start. As well as improved mood, those who had followed the Mediterranean diet also performed faster on a spatial working memory test at the end of their diet intervention. Strangely, though, those in the NC group performed faster at the end of day 10 on numeric working memory reaction time and word recognition than they had on day 1, while the effect was not seen in the DC group. The researchers were unable to explain that one. So, does that mean we should all switch over to a Mediterranean diet straight away? Maybe not. As the women in the DC group were only given loose guidelines for what to eat, it is hard to know exactly what they did eat - and if they recorded it accurately. Actively changing diet, rather than doing nothing, could have been responsible for the effect. "Although the Mediterranean diet was not mentioned explicitly," say the researchers, "it is likely that those in the DC group will have been aware that they were changing to a healthier diet, and this may have led to expectations of more wellbeing with a direct or indirect effect on mood." With such a small sample size and short-term intervention, it is clear that more research is needed before proclaiming the Mediterranean diet the route to happiness. However, there's a bunch of research showing its benefits for overall health, and less processed food and more fruit and veg sounds like a good idea to me! McMillan, L., Owen, L., Kras, M., & Scholey, A. (2011). Behavioural effects of a 10-day Mediterranean diet. Results from a pilot study evaluating mood and cognitive performance. Appetite, 56(1), 143-147. Tangy Rhubarb Sauce - perfect with salmon!